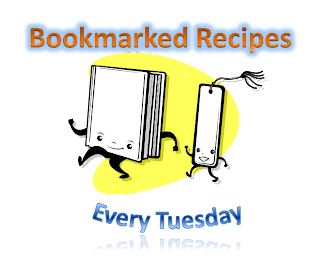 This is the 38th volume of Bookmarked Recipes - Every Tuesday Event. You can find recipes for all other volumes here. where we all with link the blog posts where we posted a recipe that we had Bookmarked from another blog or book or magazine or simply from a TV show written on a blank paper. It would be great to know when you bookmarked it (date), if you would like to share it, not mandatory. Once you have posted your recipe on your blog, simply link it using "Mr. Linky" below. Linking will open only after 12 am on 26th April 2011 (India Time) and will stay open till end of the day (US Pacific Time). Hi Priya. I'm sorry my entry appeared 3 times. I was experiencing technical difficulties while posting this entry in linky. After posting it, the entry did not appear so I decided to post it again. It did not appear again. When I visited US Masala, the entry appeared 3 times. And then I checked your site again and it shows my entry 3 times. Sorry again dear.